Coffee is a versatile drink known in almost every culture. Types of coffee drinks in the world vary, from the simplest hot drinks to fancy-looking cold beverages. If you are a coffee lover with an experimental mind, trying all of the coffee drinks imaginable should be a goal. Here are 20 types of the most popular coffee drinks around the world. Espresso is a coffee drink with a concentrated amount of caffeine and flavor. It is made by pressuring hot water through finely ground coffee. The result is thick, foamy coffee, which is usually served in a small cup. Ristretto is a coffee drink made by using half the water espresso used (but the same amount of ground coffee). The result is a stronger, bolder, more concentrated coffee drink. Ristretto is often served with additional hot water because some people find it overwhelming. Café au lait, also known as café latte, is a mix of black coffee and hot milk. The world café latte is often used in English-speaking countries to describe a mixture of espresso and milk. It is one of the most popular coffee types in the world with diverse variations. Cappuccino is made by mixing the same amount of double espresso and steamed milk. At coffee shops, the milk is heated and foamed using the coffee machine’s steam wand. The top of the cup has thick milk foam. Cocoa powder or cinnamon is often sprinkled on top. Flat white refers to an espresso drink with milk foam (instead of hot milk plus the foam). It results in a coffee drink with a smooth consistency, but with more amount of coffee than latte or cappuccino. The surface has tiny bubbles, but no thick foam layer. Espresso macchiato is an espresso drink “stained” with a little amount of foamy milk. It retains the bitterness and intensity of espresso, but with a little smooth flavor. The opposite is latte macchiato, in which hot milk is “stained” with a little espresso. Bica is a Portuguese espresso, with smoother characteristic than Italian espresso. This is due to the lighter roasting method in Portuguese coffee beans. In Portugal, Bica is usually referred to as “um café” when served in coffee shops. Americano is a black coffee drink where espresso is diluted with a little water. It creates less strong black coffee, but still with unique espresso flavor. Many baristas make Americano out of coffee beans that produce strong espresso, which can be overwhelming without water. The long black is similar to Americano, but it is made with a double espresso. If made properly, the drink will still have crema (foam) on top. The flavor is slightly stronger than Americano. The long black is popular in Australia and New Zealand. Mochaccino is a chocolate-flavoured latte drink, made by mixing espresso and hot milk with chocolate powder and sugar. Some coffee shops use actual dark or milk chocolate, while others add chocolate syrup. Cowboy coffee is a term for a drink made by mixing a generous scoop of coarse ground coffee to a large pot of boiling water. Each cup of water means one scoop of ground coffee. The coffee can be enjoyed after the grains come down. Turkish coffee is made by mixing finely ground coffee with hot water. The result is foamy coffee with strong flavor. It does not use a filter, so the ground coffee must be very fine. It has several names, such as “Turkish” in Greece, “turek” in Slovakia, and “turska kafa” in Serbia. Cuban espresso is an espresso drink served with sweetener. Traditional serving uses brown sugar, which is mixed vigorously in the first drip of espresso until foamy. The sugar mixture is then used in the actual hot coffee. Oliang is Thai-style iced coffee popular at Thai restaurants. It is usually made by steeping coffee ground in a package (similar to tea). The ingredients are strong coffee, brown sugar, and sometimes spices like cardamom. There are versions with condensed milk (gopi) and fresh milk (oliang-yoklo). Vietnamese-style iced coffee is made from coffee prepared with Vietnamese drip, although some coffee shops use a French press. It uses sweetened condensed milk as the mixture. It is similar to Thai iced coffee but usually sweeter. Greek frappe was invented at Thessaloniki International Fair in 1957. It was made by mixing instant coffee with milk and ice cubes in a shaker, then shaken vigorously. Today, Greek frappe can be made with any coffee blends, but instant coffee is still popular. White coffee usually refers to black coffee mixed with cold milk or creamer. However, in Malaysia, white coffee refers to coffee beans roasted with margarine. In Indonesia, it refers to slightly-roasted beans with pale color. Both have unique flavor when brewed. Mazagran is an Algerian cold coffee served with sweetener. It is made by pouring hot black coffee directly into ice cubes. Many coffee drinks in Europe originate from mazagran. Austrian version uses rum, while Portuguese version uses lemon, rum, and mint. Irish coffee is a hot coffee that is often grouped as a cocktail. It consists of hot coffee with Irish whiskey and sugar stirred in. Thick cream is added until it slowly rises to the surface. The drink often uses Americano coffee. Caffe corretto is a term of espresso served with a few drops of liquor. In Italy, the coffee is mixed with grappa or sambuca. Outside Italy, Caffe corretto is often mixed with cognac or brandy. Unlike Irish coffee, the liquor taste is not overwhelming. 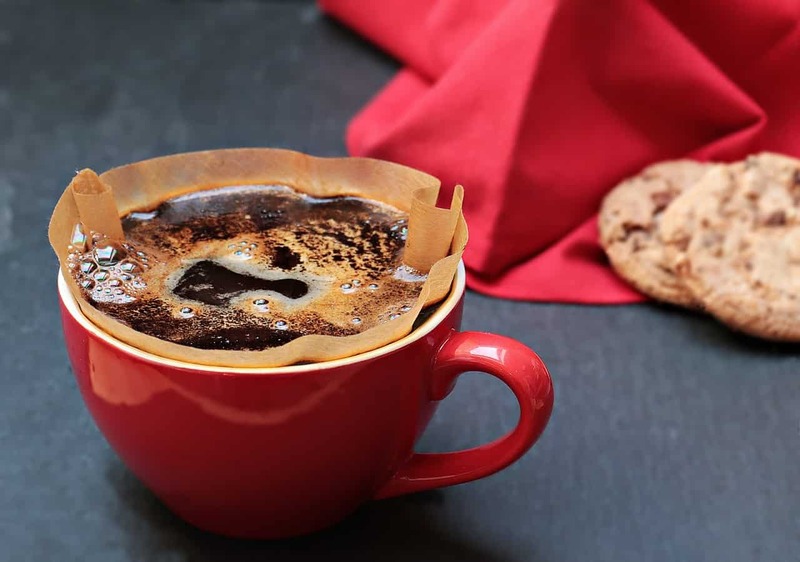 As a versatile ingredient, coffee can be turned into any variations. Modern coffee shops find new and unique ways to experiment with coffee. You can also make your own recipes at home, thanks to the ubiquitous amount of high-quality coffee makers. Coffee beverages are not only enjoyable, but they also represent the cultures behind each preparation and ingredient type. Try these types of coffee when you visit a coffee shop or brewing at home and enjoy unique characteristics behind every sip.